MCM - Machining Centers Manufacturing – is an Italian company, world leader in the production of machine tools. It designs and manufactures top-of-the range machining centres, flexible manufacturing systems and customized solutions for multi-process integration, to meet diversified and complex manufacturing requirements. 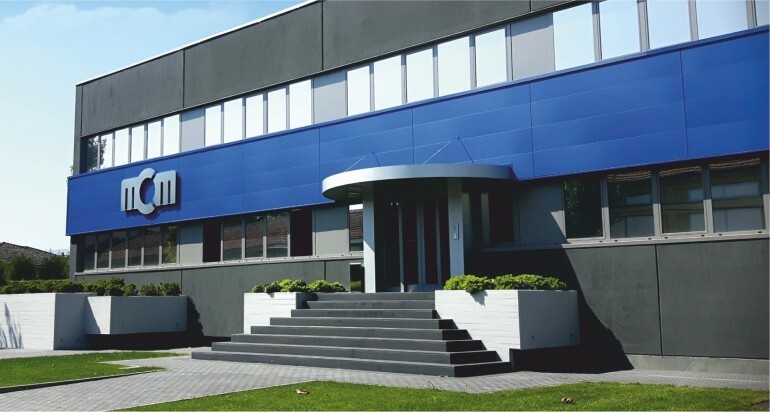 Established in 1978 in the province of Piacenza, in the centre of a historic Italian machine tool district, MCM has grown fast thanks to the innovation it offers. Successful across all markets, MCM is an excellent example of an Italian company manufacturing advanced capital goods, able to match the organisation of the companies operating at a global level with the dynamism and meticulous attention to every construction detail. The company size is such as to allow, on the one hand, a well-structured organisation chart, representing a wide range of technical know-how and, on the other hand, to operate with considerable flexibility and dynamism, for example in effectively meeting the specific needs of the customer. The development of expertise and skills is a widespread practice within the company. Therefore, there is a strong inclination to approach new projects in which all the know-how of the company can be used. MCM operates through 3 production sites in the Piacenza district and internationally through branches in France, Germany, USA and China, as well as operating facilities in Spain, Russia and the UK. In its history, MCM has manufactured more than 2500 manufacturing cells, installed in more than 30 countries.